Based in Fleetwood, Lancashire, our garage really does excel in a wide range of vehicle repairs. Our MOT test covers a multitude of things to ensure that your vehicle meets the required environmental and safety standards. We offer both fixed price services and manufacturers services at our garage in Fleetwood. If your tyres are getting thin, you have a puncture, or the tread is wearing down, we can provide a tyre replacement or repair service for your car. We can ensure that your brakes are operating as they should. For brake repairs in the Fleetwood area, make an appointment with us today. Our workshop is fully equipped to carry out any repair for your vehicle, whether it is a small bulb replacement job or an engine replacement. If you are looking for a mechanic in Fleetwood that can repair or replace your brakes, clutch or battery, contact us today. We believe in providing a transparent service, which is why we provide you with a fixed quote which we agree with you before we start the work on your car. 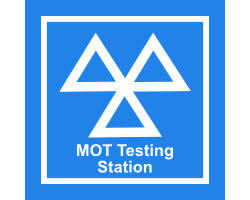 The law states that you can get your cars serviced at any garage, it doesn’t have to be the one you bought it from. We can supply you with a wide range of parts from genuine dealers including Vauxhall, Mini and Peugeot. Our mechanical engineers can provide puncture repairs, MOT tests and servicing for cars, vans or motorbikes. If you're looking for a mechanic in Fleetwood contact us today. James Jackson’s Central Garage in Fleetwood specialise in vehicle repairs, annual MOT testing, vehicle servicing, clutches, tyre fitting and more. With over a 100 years of combined experience serving local motorists, we are the independent car servicing experts you can rely on and trust. We take a real pride when it comes to providing personalised, top quality vehicle servicing and maintenance for most makes and models of car, whether your vehicle is brand new, still within its manufacturer’s warranty period or several years old – we can help. Here at James Jackson's Central Garage, you can be sure you're dealing with a truly professional team that are always keen to help solve any problems your vehicle may be having. Whether you need a MOT test, a new set of tyres, reliable diagnostics, speedy repairs or even just some general maintenance, we'll be sure to not only solve the problem, but to explain it in detail too. We ALWAYS promise to keep explanations simple, without using overly-complicated and unnecessary jargon. We will not start any work until our quote has been approved by you first. Our main mission and company ethos is to look for the most cost-effective solution for the repairs you may need, and provide these services quickly and efficiently. You can relax knowing that we have fully trained and well-experienced mechanics on hand to work on your vehicle, and we also adhere to extremely high standards that come as standard with a long established service centre. For MOT testing, tyres, brake and clutch repair delivered by our team of skilled car mechanics in Fleetwood, call us on 01253 873 710. We offer affordable and efficient MOT testing for vehicles of all sizes including motorcycles and larger vans, however there are some restrictions. We are independent dealers so can provide lower costs than larger car dealerships, meaning you can save up to 40% by getting a service with us. here are ways to maintain your tyre pressure for a longer period of time. We offer a nitrogen tyre inflation service, which means you do not have to inflate your tyres as frequently. If there is a problem with your car, one of the lights will stay on and alert you of the problem, if your light is on, then bring your vehicle to our garage in Fleetwood and we can diagnose and fix the problem.